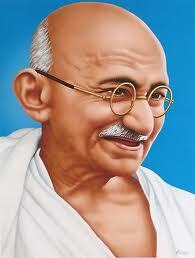 The name “Gandhi” is synonymous with non-violence. His ability to unite the people of India in their search for control is unparalleled. The name “Mahatma” in Sanskrit means “Great Soul.” This great soul’s wisdom shines through the ten quotes I have selected from Gandhi’s library of wisdom. Because navigating the waters of our daily life is sometimes challenging, and during the holiday season, they can be downright choppy. Below are some of the “Great Soul’s” greatest quotes. May you find direction and comfort in them as you sail through this holiday season. Thank you Laura for reminding me of what is most important during the holidays! I sometimes feel stressed being around some of my family, so I will remember “Changing Ourselves, Not Others” this year. Yes, Layla, the holidays can be a trigger for uncomfortable feelings, especially those feelings that we haven’t resolved with our others. With so many family-expectations, it’s no wonder that the rate of stress and depression peak during the holiday season. Thank you for your kind feedback. May we all remember Gandhi’s teachings during this time of the year, and beyond. Thank you for this Laura. Centering ourselves with the words of a man who lived so simply and so profoundly for the greatest good of all is truly a path to peace, inner and outer. Thank you Laura, for sharing your kind thoughts. Gandhi’s teachings of compassion and tolerance continue to be a powerful influence. May you enjoy a wonderful holiday season.